Lease Abandonment: What is it and How Can You Deal With It? Lease abandonment is exactly what it sounds like: the tenant abandons the lease and his or her obligations under it before the lease term has ended. Unfortunately, it can be unclear if a tenant has indeed vacated the premises, as when a tenant abandons a rental property, he or she often leaves behind personal belongings and fails to transfer the utilities out of his or her name. These are indicators that he or she wishes to continue to occupy the property. If you are faced with lease abandonment, you may wonder if you can just toss the tenant’s remaining belongings, clean out the unit, and re-rent it. The answer depends on for how long the tenant has been gone and your reasons for believing that the unit has indeed been abandoned. To ensure you do everything by the book, consult with an Alabama real estate lawyer before taking any action. Section 35-9A-304 of Alabama’s property code outlines how a landlord should act in the event that he or she suspects a tenant has abandoned a rental property. Alabama’s laws are much more lax than other state laws, as it allows landlords to take decisive action fairly quickly after discovering the tenant gone. For instance, Florida requires landlords to send a letter to the tenant detailing what items are left behind and what he or she plans to do with the property if the tenant does not come to claim them. The landlord must wait 15 days after posting the letter to take action. 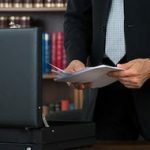 In California, you must do the same, but the letter must contain very specific information found under California law and the landlord must store the tenant’s belongings in a safe location while he or she waits for the tenant’s reply. Alabama law does not require landlords to safely store abandoned property or to notify the tenant. Rather, the law simply requires landlords to wait 14 days after he or she notices the tenant’s absence before entering the property. If a tenant plans to be gone for 14 days or longer but does not intend to abandon the lease, he or she must notify the landlord of his or her plans. If the tenant fails to do so, the tenant may end up owing the landlord actual damages. If a tenant abandons a rental property and personal belongings along with it, the landlord has the right to dispose of property left behind without any further obligation to the tenant. The landlord has no obligation to the tenant to store the property in a safe place. The landlord may use his or her discretion when determining if a rental unit has been abandoned. Among other signs of abandonment, the landlord may take the lack of electrical services for seven consecutive days as a sign of desertion. 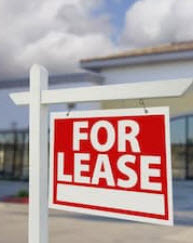 Once a landlord has determined that the tenant has vacated the unit, the landlord may begin preparations for re-renting it and may even go so far as to enter another rental contract. However, if the landlord has other vacant units available, he or she must make an honest attempt to rent those units first. 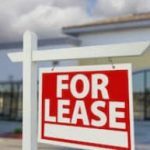 Though Alabama’s laws are fairly lax regarding how a landlord acts after a tenant abandons a lease, you should still take precautions when reclaiming your unit. Consult with a real estate attorney for advice on how to proceed in this delicate situation. Contact Cloud Willis & Ellis today to learn more.